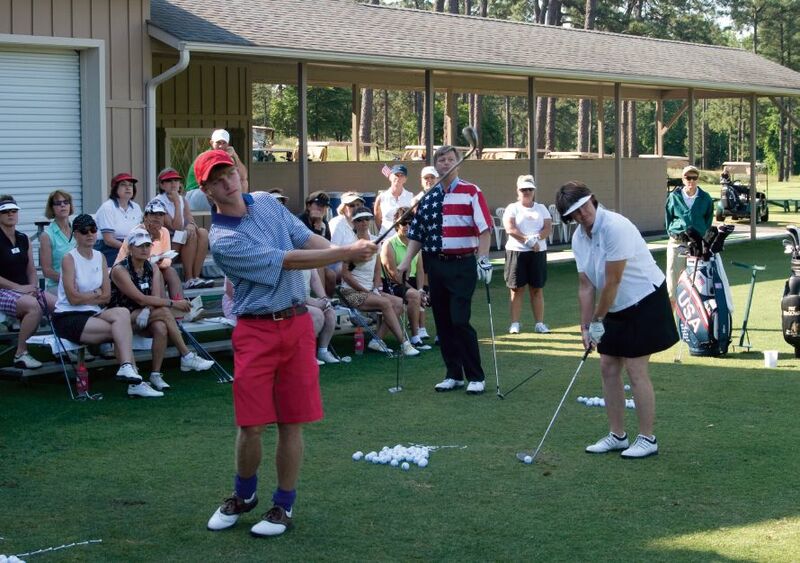 Golf Academy, located at our sister property Pine Needles Lodge & Golf Club, embodies a tradition of superior instruction that dates back more than 50 years. Our curriculum was designed to enhance every aspect of the game from putting, chipping, pitching and full swing, to course management, fitness and stretching. You’ll work one-on-one with our expert instructors to identify your strengths and weaknesses and improve your skill level. 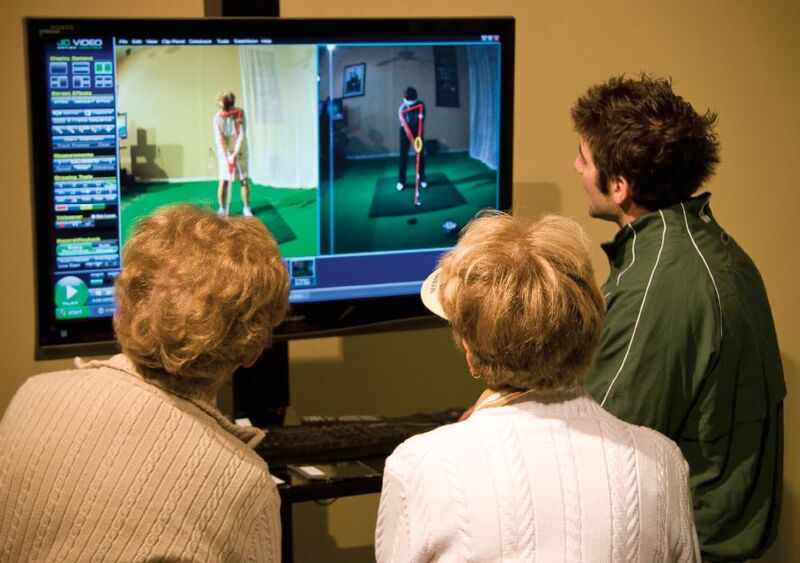 From time-tested teaching methods to modern video swing analysis, our unique approach is proven to advance your game. 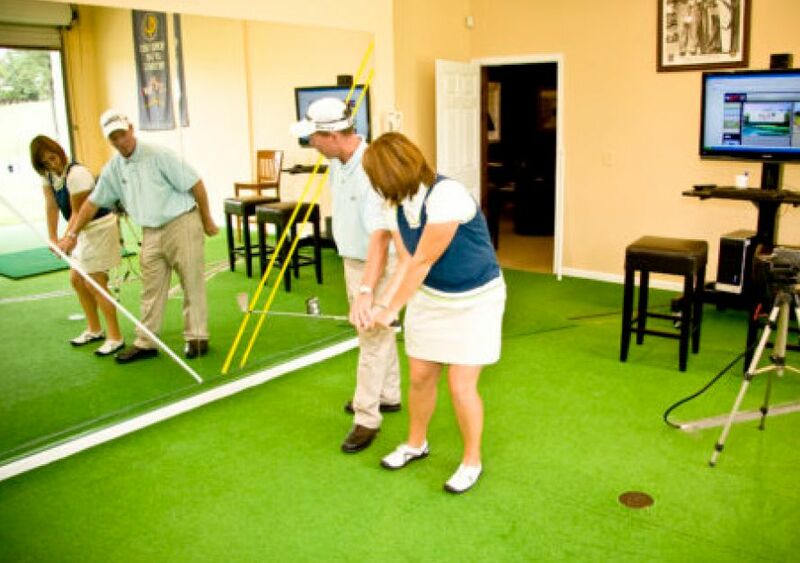 For more information about Golf Academy, call 800.290.8815 or register here. Rates above include all gratuities and service charges. Taxes are additional. Note: Early arrival is available for all golf schools. Contact Reservations for more details. At Pine Needles, we’ve crafted the perfect learning environment to bolster your improvement in every way. Our private instruction facilities include the Golf Academy building, outfitted with state-of-the-art technology, and a dedicated 20 acres, complete with 80 hitting stations, four expansive practice greens, five bunkers and a unique four-hole loop course. Located on the far side of the historic driving range at Pine Needles, our four-hole practice loop will challenge your short game. 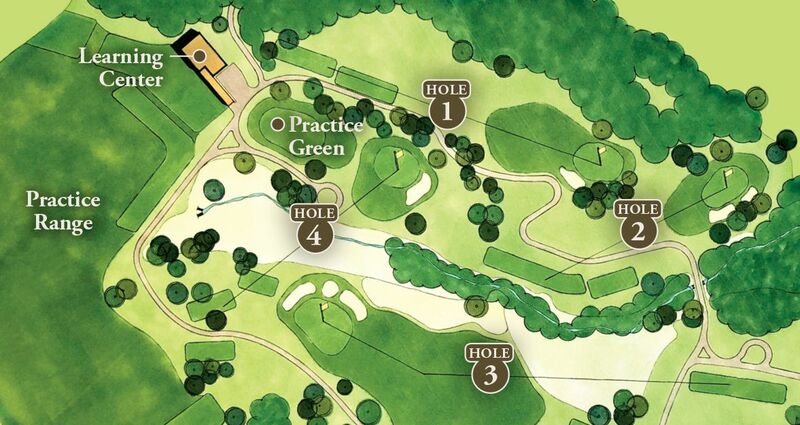 Known simply as “The Loop,” this short course features three par 3s and a short par 4, aptly named the “Strait,” the “Wee,” the “Gibraltar” and the “Postage Stamp.” The greens were restored in 2017 and feature a new strain of zoysia grass, which provides an impeccable putting surface. Access to The Loop is on a first-come, first-served basis. So grab your putter, wedge and friends, and enjoy The Loop with our compliments. 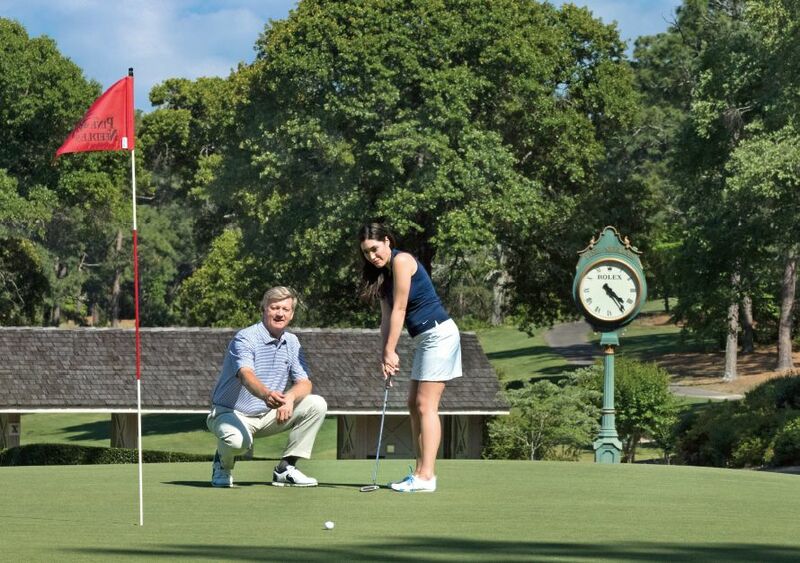 At Pine Needles, you’ll learn from the best. Led by Director of Instruction Pat McGowan, who was named Rookie of the Year after joining the PGA TOUR in 1978, our team of instructors includes not only Class A PGA professionals, but also former PGA and LPGA champions.